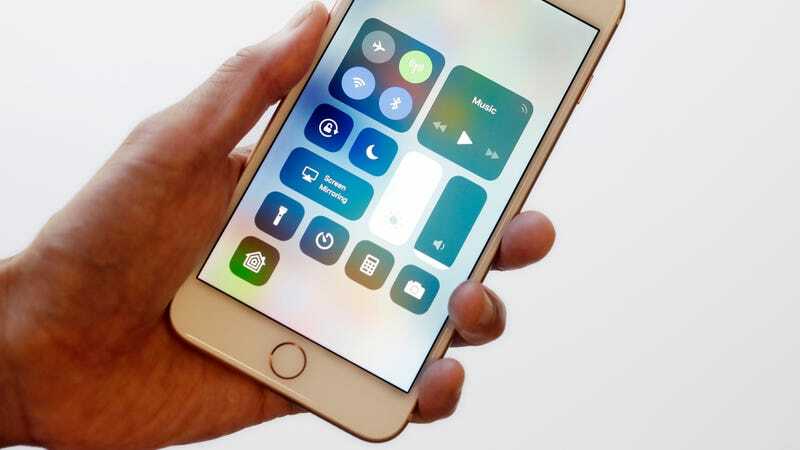 iOS 11, the fancy new version of Apple’s OS that shipped just about two months before the launch of its latest line of expensive phones, introduced some changes to Control Center, its app which streamlines the annoying process of changing settings by putting the most commonly tweaked ones on a single swipe-up menu. One issue? The changes included buttons that appeared to be convenient wi-fi and Bluetooth switches, but in reality simply disconnected phones from nearby devices and networks instead of turning the chips off. Apple’s developers are seemingly testing whether that element of the design needs a formal fix, per MacRumors. In the latest beta version of iOS (11.2 Beta 2, released on Monday), using either the wi-fi or Bluetooth switches in the control center alerts users with a prompt that explains all it does is disconnect from nearby devices for a limited period of time. There are a number of situations in which either function might turn themselves back on before the next day, such as changing location, reconnecting to devices or restarting the phone, MacRumors noted. Note that the change is only a beta, so Apple could still decide the fix isn’t a particularly good solution before pushing it out to users. The decision to leave the wi-fi and Bluetooth chips on iOS devices activated when disabled in Control Center was intended for convenience—i.e., to allow users to simply hit the button and not have to waste time fiddling around in settings when they want to use them again—but it did attract some attention as a security risk. There wasn’t any in-device explanation that the wi-fi chips or Bluetooth remained on, leaving the phones open to potential wireless attacks during a zero day vulnerability or enabled through malware. This change apparently does not resolve the security concern, which should be minor for most users, but at least it does explain what’s happening behind the scenes more clearly so said users can make their own decisions on how to use Control Center.